This article originally appeared in the November edition of SA Flyer and FlightCom magazine. It is republished here with minor edits. The subject of chartered VVIP aircraft for President Jacob Zuma hit the news again in September this year when it emerged that the South African Air Force had chartered a large Boeing Super 27 (upgraded 727–200) VVIP jet to transport him to the United Nations General Assembly session in New York City. Coming at a time of strained budgets, economic malaise and a demand for cost-cutting the charter was widely seen as an unnecessary extravagance, especially as it is expected to cost at least R 6 million. ZS-PVX, the Boeing 727 in VVIP configuration often chartered for President Jacob Zuma’s use. The South African Air Force’s 21 Squadron already operates a fleet of VIP/VVIP aircraft, including a Boeing BBJ, a Falcon 900 and two Falcon 50s, which are cheaper to operate and thus used first for any VVIP transport requirement. So in typical circumstances the South African president flies on ZS-RSA ‘Inkwazi’, 21 Squadron’s Boeing BBJ and the deputy president and senior cabinet ministers will fly on board the Falcon 900 and other aircraft if the routes are suitable. Aircraft are chartered for VVIP use only when the relevant 21 Squadron’s aircraft is unavailable or when those that are available are unsuitable for the requirement. So when ‘Inkwazi’ undergoes major servicing at Jet Aviation in Basel, Switzerland, as is the case now, the South African Air Force charters a replacement according to the list of requirements specified by National Treasury in the RT61 contract. There remains much confusion about how the process of chartering VVIP aircraft works, how the winning bidders are chosen, who pays and when. This article will explain the process and the background and suggest ways in which the process could be improved. Contrary to popular belief, the South African Air Force does not make the decision on which charter companies will be awarded the tenders or which aircraft will be chartered. Those decisions are made by National Treasury, under the RT61 set of contracts which govern everything from aircraft used to repatriate illegal immigrants to their home countries through to VVIP aircraft for the president. Government departments, such as the Department of Defence, who want to use chartered aircraft can only use the companies and aircraft specified in that National Treasury RT61 contracts and are required to pay the given charter costs out of their own operating funds. So in the case of VVIP transport, defined as the transporting of the president, vice president and senior cabinet ministers, the South African Air Force will contact the preferred supplier listed in the RT61 documentation, book each of the flights needed and pay the supplier the rate agreed to by National Treasury. Winning bidders are chosen according to the dry cost of the lease (excluding fuel and handling) and their ability to meet the requirement of each sub-tender, both of which make up 90 out of the possible 100 points they can be awarded, with the remaining 10 points being based on their B-BBEEE status. Each set of contracts under RT61 lasts for two to three years, thus the previous two were RT61–2009 and RT61–2011. RT61–2014 is the current active set of contracts and will run until 31 March 2017. The aircraft should be capable of transporting 10 passengers without any refuelling stops. The aircraft must be available for possible inspection and approval by SAAF officials prior to the flight. The aircraft must be equipped with flight tracking system capable of providing internet based real time position reports at least every 5-10 minutes. The aircraft must be equipped with satellite voice and data equipment for telephone and internet facilities. On board computer and printing facilities must be available for use by the Principal. Catering must be calculated at 10 lbs (4.5 kg) per passenger for one meal, covering both food and beverages or 15lbs (7 kg) per passenger if two meals are created for. This excludes implements, but does include extra food and beverages loaded to allow the passengers a choice. Private Sleeping and bathroom facilities (shower) for Principal + 1. On board luggage space in Principal’s room for min of 4 suitcases and 5 bags/coat bags. Private facility of Principal + 2 to be used as office area during flight. Minimum of 6 seats in VIP configuration (ex First class) capable of reclining into a flat sleeping position. On board storage space for carry-on luggage. (22 lbs (10 KG) per passenger). Toilet facilities for all passengers (excluding private facilities for Principal + 1 and crew facilities). An entertainment system (Audio + Video) that is accessible to both the VVIP and VIP passengers. The aircraft must be equipment with a galley suitably equipped to keep and prepare hot as well as cold food and beverages to all passengers. Part of the luxury interior of ZS-PVX. What does it cost South Africa? These rates will be adjusted upwards at five separate dates over the life of the contract, using formula that incorporates inflation, wage and cost numbers from Statistics South Africa. As a data point, when ZS-PVX was last chartered for President Zuma to travel on an identical trip to New York City, the total cost came to R6 331 174.67, of which R3 731 174.67 was the dry cost of the charter in line with RT61 (at the time R66 000 per hour) and R2 600 000 was the cost of fuel and handling. If adjusted for the current rate, the same trip can be expected to cost nearly R7 million. 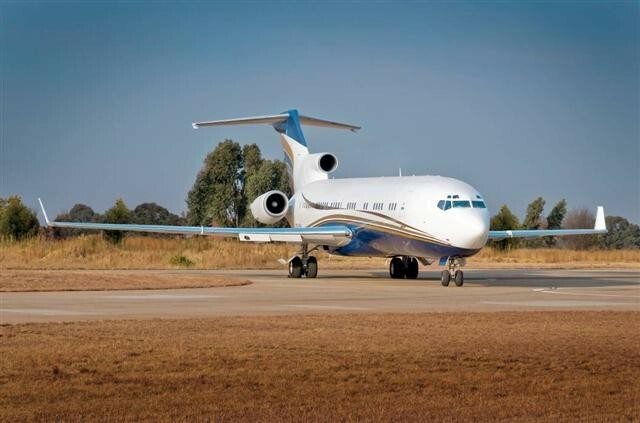 In all, transporting President Jacob Zuma on Inkwazi or chartered flights costs the South African Air Force an average of R40 million – R50 million a year, according to figures which showed that his flights cost R140 million between May 2009 and May 2012. The same released figures showed that it cost another R23 million a year or so to fly the deputy president and approximately R13.5 million a year to fly the then-Minister of Defence. On top of this must be added the approximately R13 million a year the Air Force’s helicopter squadrons spend each year on VIP flights, severely depleting their operational budgets. Most countries with a similar GDP, remote location from major centres and level of international commitment to South Africa have some form of government-owned and operated private travel for their head of state. Thailand operates one Boeing 737–800 for the Thai Royal Family and one Airbus A340–500, one Airbus A319CJ and two Embraer ERJ–135LRs for the government. Taiwan operates a Boeing 737–800 for regular government transport, although China Airlines is required to make available a 747–400 for long-haul flights. Argentina operates one Boeing 757–200, one Boeing 737–500 and a number of smaller types. Egypt operates an Airbus A340–200. Colombia operates a Boeing BBJ, Embraer Legacy 600, Fokker 28 and Learjet 60. Malaysia operates a Boeing BBJ and an Airbus A319CJ. 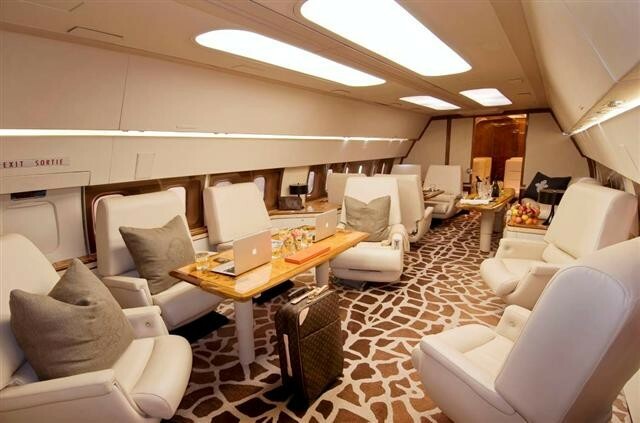 Nigeria operates a Boeing BBJ, along with a Gulfstream V-SP, Gulfstream 550, two Falcon 7Xs and other smaller types. Australia operates two Boeing BBJs and three Challenger 604s. Venezuela operates an Airbus A319CJ. In addition, these countries have all used chartered aircraft when the state-owned aircraft were unavailable. Some countries use chartered aircraft almost exclusively, such as the United Kingdom where the Prime Minister will usually charter an A340, 777 or similar-sized aircraft from British Airways or Virgin Atlantic. Why can’t we use commercial flights? As a quick exercise I looked for direct commercial flights between South Africa and the capital cities of 50 African cities. Only 20 of those were served by a direct flight from South Africa, the other 30 could only be reached through connecting flights. Even those with direct flights usually had a low frequency of flights, mostly once a week. The situation is even worse for smaller cities. It seems clear that in Africa, with its underdeveloped air routes and relatively low frequency of commercial flights, relying solely on commercial airlines for diplomatic travel is not feasible. Crises can emerge at short notice, requiring the presence of high level delegations, summits can run over time and plans may need to change to adapt to changing circumstances. Even when flights are at the right times, they may already be fully-booked, necessitating either waiting up to a week for the next flight or taking the undesirable step of booting paying passengers off. 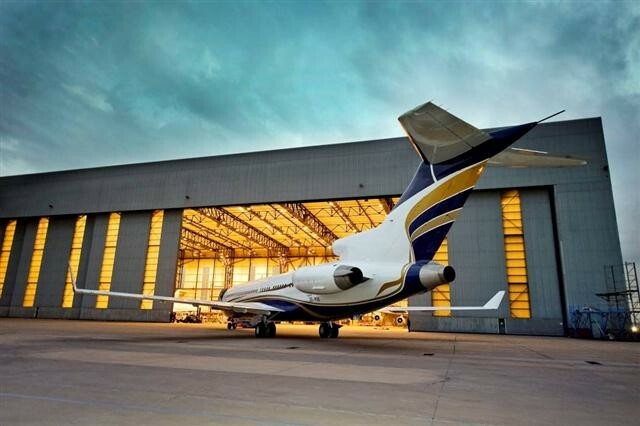 There is therefore a clear need for the South African government to own and operate its own VVIP aircraft, as opposed to relying entirely on commercial air travel. While there is a clear need for government-owned VIP transport aircraft, the present situation is far too open to abuse and the cost of these flights is clearly not sustainable for a cash-strapped South African Air Force. The Air Force has already done its best to attempt to isolate its operational activities from the demands of VVIP transport by taking the responsibility for all aspects of VVIP flight planning and administration away from the Air Force Command Post, which was being forced to dedicate too much time, manpower and management to the task, and handing it to a dedicated VVIP section at AFB Waterkloof. But that is not enough, the key problem remains the immense cost of VVIP transport and the way in which it has decimated the SAAF’s operational budget, putting aircrew and soldiers in danger and damaging the SAAF’s ability to carry out its primary functions. We cannot expect that the president, deputy president and cabinet ministers will willingly reduce the number of VVIP flights they take, especially when the vaguely-worded Ministerial Handbook allows it, nor is it realistic for VVIP transport to be removed from the military for security reasons. So the only answer is a change to the way VVIP flights are managed and funded. First, VVIP transport should be removed from the South African Air Force’s operational budget. Ideally, the budget should be moved to the Presidency in line with the other expenses of that office but if that’s not possible then it should become a completely separate budget item within the DoD (not SANDF) budget. Second, 21 Squadron can still be used to maintain and operate VVIP aircraft with funding coming from that new budget item listed above, but it should be expanded to take on a helicopter wing so that regular SAAF tactical helicopters are not diverted for VVIP tasks. Third, all VVIP acquisitions should, once again, be a separate budget and not be included in the SAAF’s acquisition allocation. That way, new VVIP aircraft could be acquired to balance out the fleet and prevent the need to charter aircraft without impacting the SAAF’s own urgent operational requirement like MPAs and transport aircraft. Only by separating VVIP transportation from the operational needs and necessities of the SAAF can the government properly manage the fundamental clash of the two requirements avoid further degradation of the SAAF’s operational capabilities. Sadly, I don’t believe there’s a very good chance of these steps being taken and unless the Defence Review brings a large and much-needed injection of funding VVIP flying will become an ever-larger portion of the SAAF’s operational duties. We can only watch and hope that sense prevails. ZS-PVX, the Boeing 727 in VVIP configuration often chartered for President Jacob Zuma’s use. Credit: Fortune Air.